Katz.cd, one of the largest direct download and torrent link directories on the Internet, appears to have been taken over by hackers. As a result the site’s visitors are now being redirected to a dubious pay-to-download site. How long the ‘downtime’ will last is unclear at the moment, but all signs suggest that something serious is going on. With hundreds of thousands of daily visitors, Katz.cd is one of the leading direct download (DDL) directories. The site indexes links to forums and blogs where users can download movies, music, and various other types of entertainment. In addition to cyberlocker links, Katz also lists links to torrents. This morning Katz visitors noticed a rather dramatic change. After having displayed the message Hacked :) for a short while, visitors to the site were redirected to rapid-downloads.com, a scammy pay-to-download service. Aside from the main site, all subdomains, the forums and Katz’s adult site were redirecting to the same page as well, all via the same referral link. No official explanation has been offered by the site’s operators, but Katz appears to have fallen victim to a malicious hacker who is trying to make a few bucks off unsuspected users. Theories as to the site’s fate currently remain just that, but all signs point to a site or domain vulnerability that has been exploited. TorrentFreak has spoken with sources close to Katz, and although neither could inform us about what was going on, we were assured that the Katz operators themselves have no reason to setup the redirect. This would make sense, particularly since the regular operation would probably bring in more revenue than this type of redirect would, especially in the long run. The question, however, is why it has remained ‘hacked’ for almost a day now? This seems to suggest that something more serious than a code or server vulnerability has struck the site(s). Interestingly, one of Katz’s main competitors PhazeDDL suffered a similar hack during October last year. At the time, the Katz Twitter account took advantage of the situation, claiming it was not hacked but shut down. “PhazeDDL has shut down (not hacked). 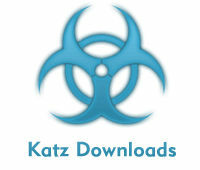 Have you tried Katz Downloads? http://katz.cd/” one of the tweets said. The true nature of the hack and redirect will probably become clear in the coming days. If we receive more solid information regarding the situation in the coming hours we will add it to this post. Meanwhile, Katz users and the many forums that depend on its traffic will have to remain patient, or try one of the many alternatives. Update: Several sources seem to suggest that “internal troubles” are the cause of the current troubles, and that it may not return quickly, or at all in its old form.